An accurate rating for this would be 3.5, as this is a collection of short stories and each one varies as far as rating goes. I averaged the ratings out rather than go through the entire book and rate them. I picked this up at my library via audiobook because Gaiman narrates it and I love his voice. He is the creator and therefore knows the inflections of tone and what not, I highly recommend listening to it! The narrated version is wonderful and since I am a huge fan I could literally listen to Gaiman all day. He could list off shampoo ingredients and I’d love it. 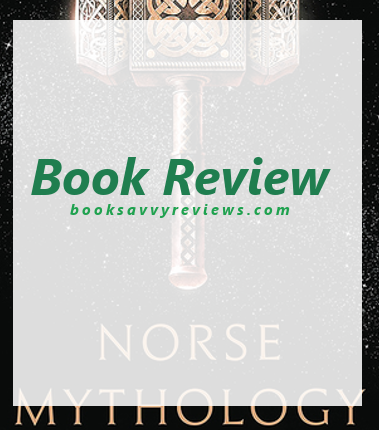 This is a collection of various shorts and tales of Asgard, Thor, Loki and other Norse gods and goddesses as well as figures. Some are humorous and others are quite sad. Some of the stories are well known and others are not so much. In an age where most people know Norse mythology through Marvel Comics I think this book came out in just the right time. There were gems and then there were boring stories that I skimmed over, but altogether it was rather nice. Gaiman captured Loki and Thor’s relationship perfectly and because Thor and Loki are mostly known through Marvel, I think this will be lapped up by fans who enjoy Thor & cast! As far as mythological creatures go… which is your favorite?